How Many Lifetime Gifts Can You Give Without Incurring a Gift Tax? Your lifetime gifts can bring taxes due. You can pay them while you're alive, or your estate will pay them when you die. One way or the other, the Internal Revenue Service is waiting to collect, but fortunately, the IRS does seem to approve of generosity. It allows for a very sizable lifetime exemption from gift taxes. What Is the Exemption for Lifetime Gifts? The exemption is the amount an individual can gift away over the course of his lifetime without incurring a federal gift tax. The lifetime exemption from gift taxes was only $1 million in 2010, with a top tax rate of 35 percent. It increased to $5 million, and the top tax rate remained at 35 percent in 2011, then it went up again to $5.12 million in 2012 with the rate remaining the same. Under the provisions of the American Taxpayer Relief Act, the lifetime exemption increased to $5.25 million in 2013. The tax rate increased to 40 percent. Although ATRA kept the gift tax in place, it indexed the lifetime exclusion for inflation. This means it will continue to increase annually. The exemption is $5.45 million as of 2016, with the top tax rate still set at 40 percent. Gifts made to your spouse are entirely exempt from gift taxes due to the unlimited marital deduction if she is a U.S. citizen. Gifts to noncitizen spouses are exempt up to the first $148,000 annually as of 2016. Only the balance in value over this amount per year is subject to the tax. The gift tax and estate taxes are linked in the tax system, so the gift taxes share their lifetime exemption with the estate tax exemption under a provision known as the Unified Tax Credit. The government doesn't want you to give too much away for free, either while you're alive or after your death. The Unified Tax Credit prevents taxpayers from giving away all their property during their lifetimes to avoid estate taxes after death. The Internal Revenue Code provides for annual exclusions as well -- values in gifts you can give away per person per year without incurring a gift tax. These "annual exclusion gifts" aren't subject to the federal gift tax at all. They don't use up any of your lifetime exemption unless you go over them. Then the balance over your annual exclusion would subtract from your Unified Credit unless you elect to pay the gift tax in the year it's incurred. This annual exclusion is also indexed for inflation. It increases periodically to keep pace with the economy, but it can only increase in $1,000 increments. You can gift up to $14,000 per person in 2016 without incurring any federal gift tax. 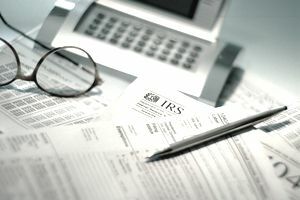 Married couples can combine their exclusions and gift up to $28,000 per person per year as of 2016, but these "split gifts" must still be reported to the IRS on Form 709, United States Gift (and Generation-Skipping Transfer) Tax Return. The annual gift tax exclusion amount was first indexed for inflation beginning in 1997. See Chart Showing Annual Exclusion From Gift Taxes: 1997 - 2016.